Hi everyone, I am Elda Brada and I come from Kosovo. 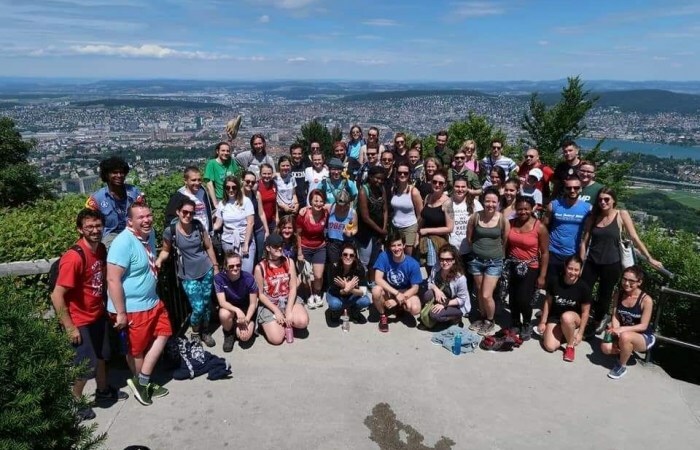 I became part of YMCA in Kosovo in 2015, when they decided to open a branch in my hometown Peja and I am part of this amazing organization from then on. With the YMCA I have had lots of amazing opportunities, but truly speaking none of the previous experiences equals the experience of being involved on the Change Agent program. A program which would have been impossible without the help that IPKO Foundation gave to me and my fellow Change Agents from Kosovo, throughout financial support during the program. Last year as a Change Agent, I had the opportunity to be part of an amazing Regional Training held in Zurich in Switzerland and I also was part of the Global Gathering held in Setubal, Portugal. During my staying in Switzerland I had the chance to meet peers from different countries and discuss with them the problems that we face in our everyday living. It was the first time for me to have a training in a scout’s style and despite the beauty of that, there were also some challenges that we faced together. Long walks and talks, building our own tents, cooking the food and doing the dishes, collecting wood for the fire camp, discussing important topics, and choosing the songs that we were going to sing were an amazing experience not only for me but for all of us as Change Agents being involved in this Regional Training. Our journey has just begun and there it came the time for us to fly to the furthest western point in Europe, Portugal. Different from Switzerland where we were around 55 participants, in Portugal we were more than 150 participant representing different states but also continents. The stay in Portugal was longer than in Switzerland, but also the experience itself differed a lot. Having different training’s going on through the day, doing different team building activities, visiting different places and meeting important people became a routine for us as Change Agents for as long as we stayed in Portugal. As Change Agents we also have a duty which is more of an assignment that we have to implement in our communities on voluntary basis in order to bring and make a change.The project that I have already started implementing is opening a YMCA club at the university where I study. As this amazing journey is coming to an end, me and the two other Change Agents from Kosovo are preparing for our last journey as Change Agents which is going to take part in Chang Mai, Thailand where the YMCA World Council is going to be held.